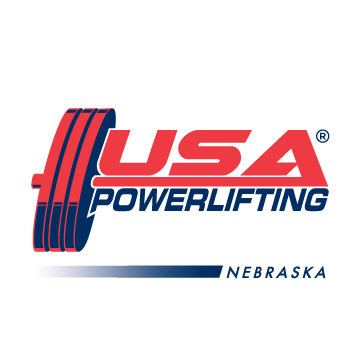 Carl Werda of Nebraska just competed at Raw Nationals and sent us a GREAT report on the event. Below is his thoughts on the event and some awesome shots. Be sure to contact me if YOU have something to share too!  “2013 USAPL Raw National meet review. This was a meet that I will remember for a long while. If any one from Nebraska has a chance to go next year, don’t miss out! The great energy from this meet will have you motivated to train all year long. The meet venue was outstanding, and probably the best hotel I’ve been at for a powerlifting meet. My congratulations to Robert Keller, the meet’s promoter. Just a tip for anyone going to an airport hotel for the meet destination, bring what you need. Stores may or may not be available (i.e. Gatorade, snacks, etc. ), although some meals were available. My flight arrived at about 10 pm on Saturday night, which allowed plenty of time to rest up for lifting on Sunday afternoon. On Sunday morning, I was able to watch some of the other’s lift, although that is when the nerves started to get going. The warm up area had 4, or 5 ER racks with Ivanko calibrated bars and discs. The two main lifting platforms were decked out in Eleiko stands, benches, and racks, as well as Eleiko competition bars and discs. Something else to remember, which I mentally tripped up on, is the pace of the meet. This meet had an unbelievable amount of lifters, and with all of the coaches, and others in the warm up area, you really had to pay attention to the lifting order. Originally I didn’t know there were two flights on my platform, and warmed up for squats too early since I was in the second flight. This was a factor to missing my first squat, and caused some concern with my next attempt. The breakdown on my squat attempts, was a miss at 212.5 kg, a good 2nd lift of 215 kg, and a good 3rd at 217.5 kg. The pace of the rest of the meet went well, with being in sync with the other lifters in my flight back in the warm up area. Bench attempts were all good with 137.5/142.5/150 kg’s. The deadlifts went up well with a good 230 kg, followed by a good 250 kg, but a miss at 265 kg. This meant that my total of 617.5 kg was going to net 2nd place in the SHW Masters (45-49) division. And, as luck would have it, our own State Chair, Mr. Bill Sindelar was judging my platform! Thanks Carl for sharing! Click HERE for full results of the 2013 Raw Nationals held in Orlando, Florida July 19-21st and set your goals to attend or lift at the 2014 Raw Nationals in Colorado next year!